LoveNokia | Latest News and Information about Nokia Mobile: Accessorize your Nokia | Nokia Accessories now listed on official Nokia website!!!! Accessorize your Nokia | Nokia Accessories now listed on official Nokia website!!!! A total of eight Nokia phones have been launched this year but till now we didn't see any accessories to accompany them. 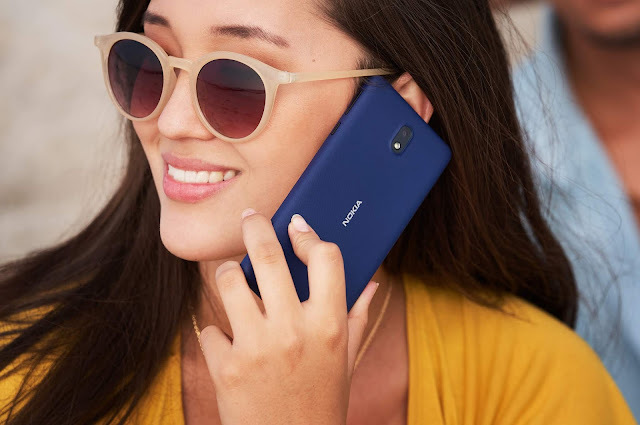 Nokia in past always launched many colorful and beautiful accessories for their smartphones like speakers, covers, Bluetooth headsets, wireless chargers and much more. In June, HMD Global launched Nokia Active Wired and Wireless Earphones which I shared here. Now, HMD Global has also listed a number of accessories like headsets, cases, and car chargers to accompany their current line of smartphones phones. All the accessories are listed on the official Nokia website. HMD Global has introduced three types of accessories namely Audio, Protection and Personalization, and Power. The new accessories include a Nokia Stereo Earphone, Designer cases, Rugged Cases, Flip Covers, Crystal Cases, Car Chargers, USB Cables and Nokia Wall Charger. Nokia Audio accessories include Nokia Active Wired and Wireless earphones which were launched in June and new Nokia Stereo Earphones. Nokia Stereo Earphones are made out of Aluminum. The earphones also come with three buttons to Answer/end call, reject call, volume control, track control, play/pause music. The earphone also comes with three different sizes of earplugs. The earphone is just 12 grams in weight. 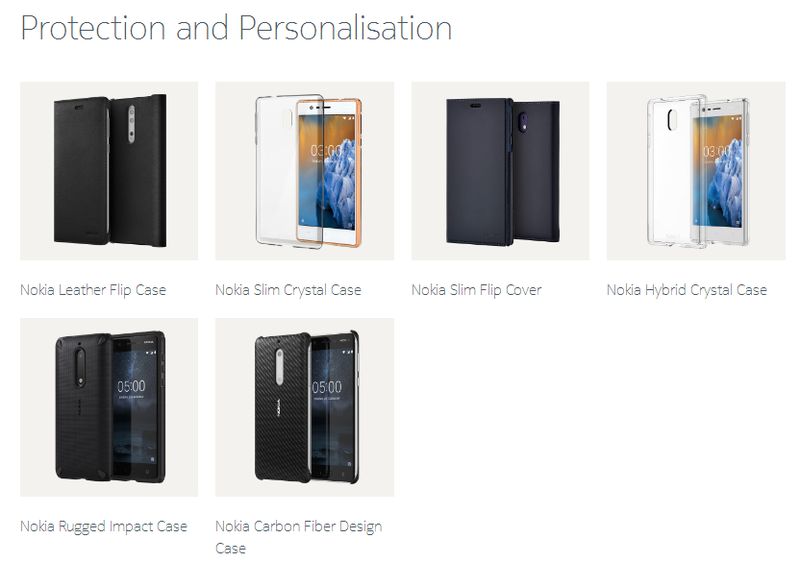 HMD Global has launched different types of covers for Nokia 3, Nokia 5 and Nokia 6. The covers include Leather Flip Cover in three different colors for Nokia 8, Crystal Back Cases, Designer Back cover available in beautiful carbon fiber design in Black and White color options and Rugged Cases made out of shock proof soft inner material and hard textured polycarbonate exterior which are available in four different color options. HMD Global also launched a Nokia USB Wall Charger, USB Car charger, a USB 3.0 car charger, and USB Cable. You can check out all the accessories in the source link below. As of now, there are no details about the pricing and availability of the accessories but they should arrive soon in my opinion.